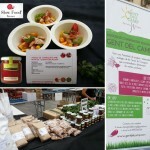 On Tuesday, September 18 from 12 noon to 12 midnight at Plaza del Rei Tarragona, held the official presentation of the SLOW FOOD TARRACO movement in “Santa Teca 2012” a gastronomic journey with artisanal and local organic products. You will find a careful selection of the best food products of Tarragona, where there where workshops on cooking, products tasting, sustainable information, music and performances. The Association it is formed by small organic farmers, artisans, chefs and people related to the slow food movement concerned about natural and healthy eating. 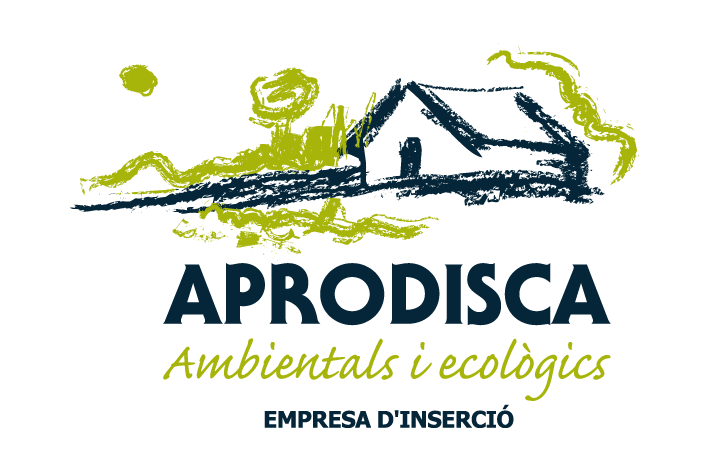 HORTUS APRODISCAe is member of the Associació Ecològica Gent del Camp, a group of ecological farmers and processors of Tarragona who have joined forces to continue working for the local agriculture, supporting agroecology in our region with values as cooperation, equality and solidarity. 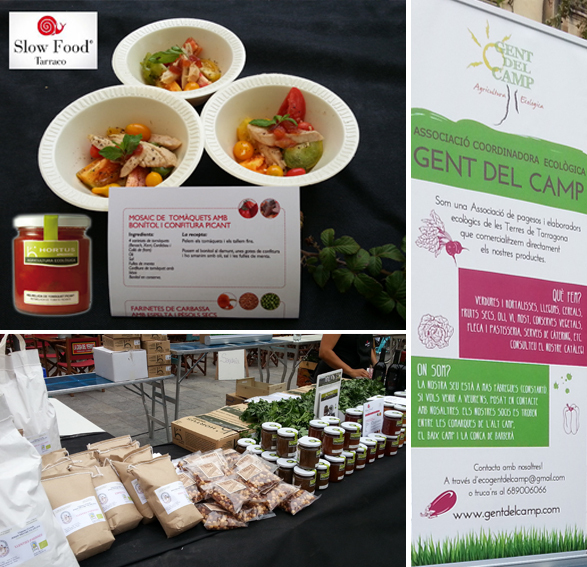 Restorers group TARRACO SLOW FOOD delighted us with some tastings made with organic products and one of them used our organic spicy tomatoes marmalade ECO Hortus.